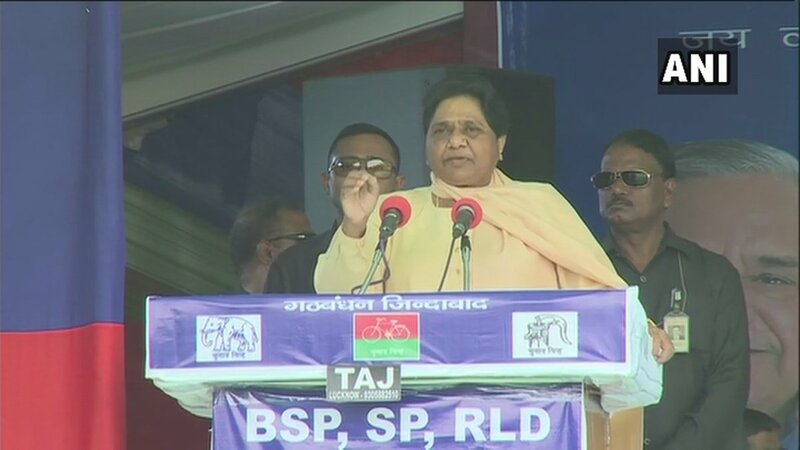 Mainpuri (Uttar Pradesh) [India], Apr 19 (ANI): Bahujan Samaj Party (BSP) chief Mayawati on Friday said Samajwadi Party (SP) founder Mulayam Singh Yadav is the only "real" backward community leader in the country and not a 'fake OBC' leader like Prime Minister Narendra Modi. 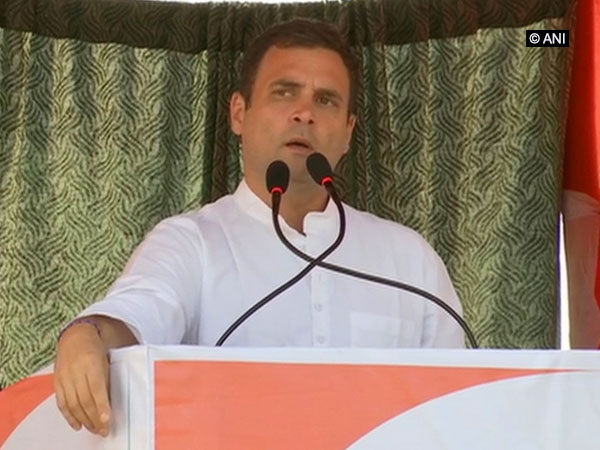 Bajipur (Gujarat) [India], Apr 19 (ANI): Congress president Rahul Gandhi on Friday accused Prime Minister Narendra Modi of "stealing money from the wallets of people and giving it to his friends." 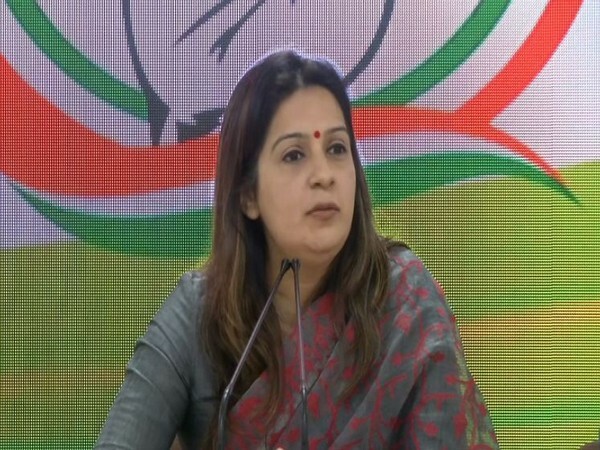 New Delhi [India], Apr 19 (ANI): Former union minister and BJP national spokesperson Shahnawaz Hussain on Friday said that Congress is like a sinking ship and that is the reason why its spokesperson Priyanka Chaturvedi has left the party. Mumbai (Maharashtra) [India], Apr 19 (ANI): The Maharashtra State Election Commission on Friday filed a complaint against Mumbai Congress president Milind Deora for violating Model Code of Conduct (MCC), weeks after his remarks on 'Jain religion'. Amethi (Uttar Pradesh) [India], Apr 19 (ANI): The Election Commission (EC) has issued a notice to Congress president Rahul Gandhi for alleged violation of model code of conduct (MCC) over the party's Nyuntam Aay Yojana (NYAY) scheme banner put up on a wall in Amethi. Ahmedabad (Gujarat) [India], Apr 19 (ANI): Congress leader Kapil Sibal on Friday alleged that demonetisation was one of the biggest scams that happened since Independence. 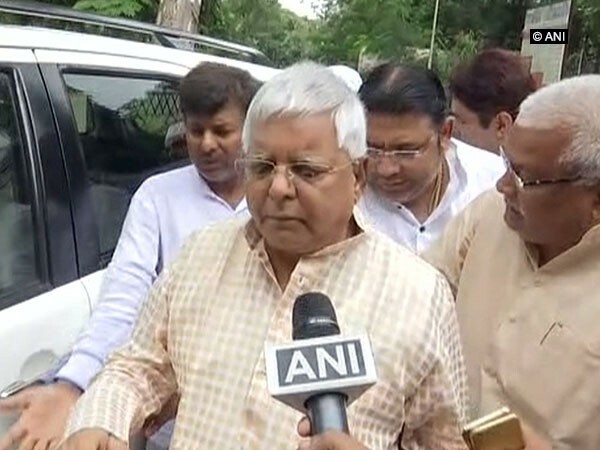 Patna (Bihar) [India], Apr 19 (ANI): The Janta Dal-United (JDU) Bihar spokesperson, Neeraj Kumar on Friday complained to the Election Commission of India (ECI) against the Rashtriya Janta Dal (RJD) chief Lalu Prasad Yadav for distributing party tickets using his signature even though he is in jail. Barabanki (Uttar Pradesh) [India], Apr 19 (ANI): The Bharatiya Janata Party (BJP) leader Ranjeet Bahadur Srivastava on Thursday brewed a fresh controversy by asking voters to cast their ballot in favour of Prime Minister Narendra Modi if they want to destroy Muslims. Surendranagar (Gujarat) [India], Apr 19 (ANI): Congress leader Hardik Patel on Friday filed a police complaint after he was slapped by an unidentified person during a rally here. 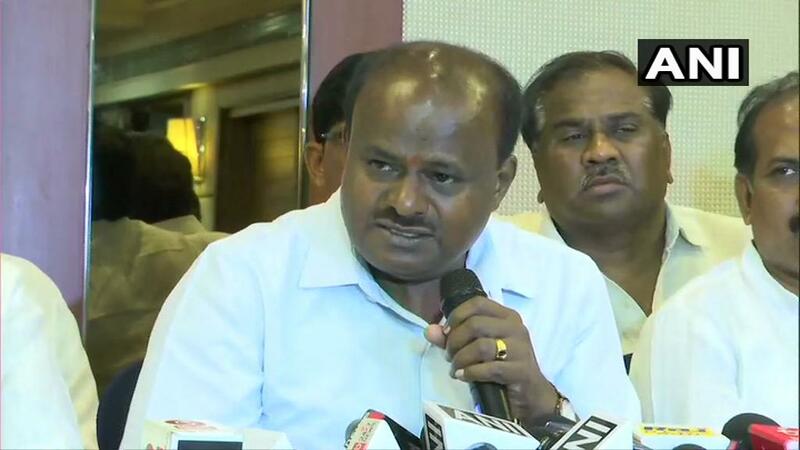 Hubli (Karnataka) [India], Apr 19 (ANI): Taking a jibe at Prime Minister Narendra Modi, Karnataka Chief Minister HD Kumaraswamy on Friday questioned if the BJP became rich by selling tea across the country. Mumbai (Maharashtra) [India], Apr 19 (ANI): Four people were killed and one other sustained critical injuries after they were hit by a truck at Surya Nagar Road in Mumbai's Vikhroli on Thursday, police said. The truck driver was arrested.